The Soffio flat sheet is the perfect combination of Italian craftsmanship skills and a wonderful fabric made with the best cotton yarns in the world. 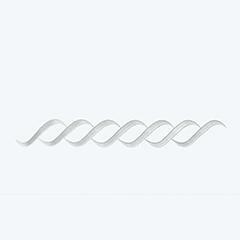 This design is unique for its lightness, style and simplicity. Like a breath of wind, this collection will give freshness and elegance to your home. Made of 100% Egyptian combed cotton Percale 600 t.c. 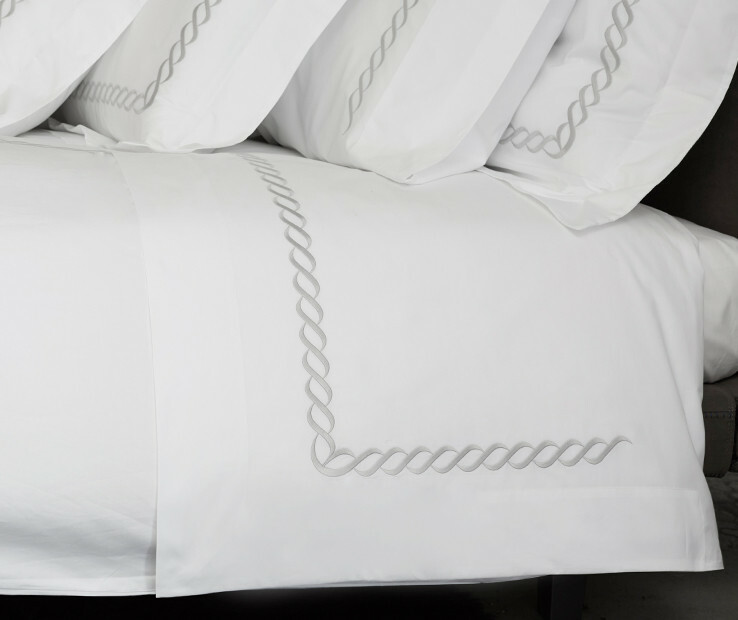 The Soffio embroidery is offered in many colors on white cotton percale. The Soffio flat sheet is the perfect combination of Italian craftsmanship skills and a wonderful fabric made with the best cotton yarns in the world. This design is unique for its lightness, style and simplicity. Like a breath of wind, this collection will give freshness and elegance to your home. Made of 100% Egyptian combed cotton Percale 600 t.c. 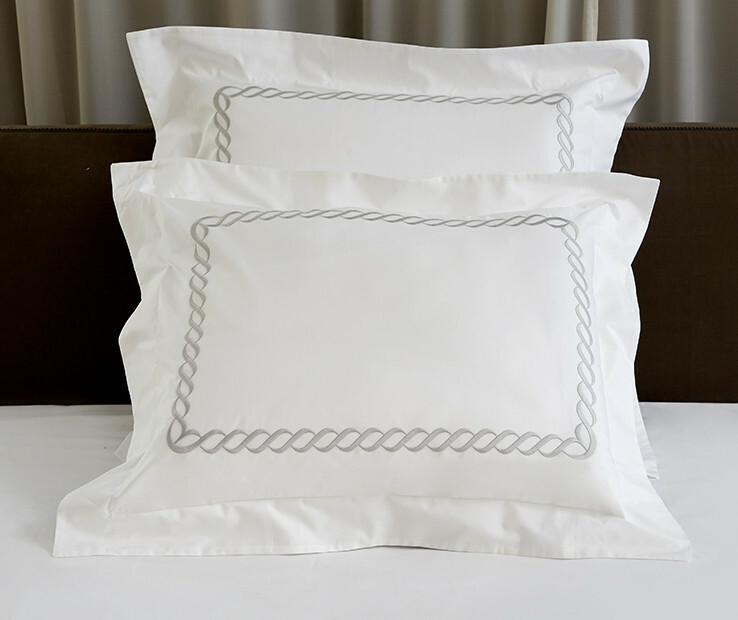 The Soffio embroidery is offered in many colors on white cotton percale. Available in Twin, Queen and King sizes. Made in Italy. 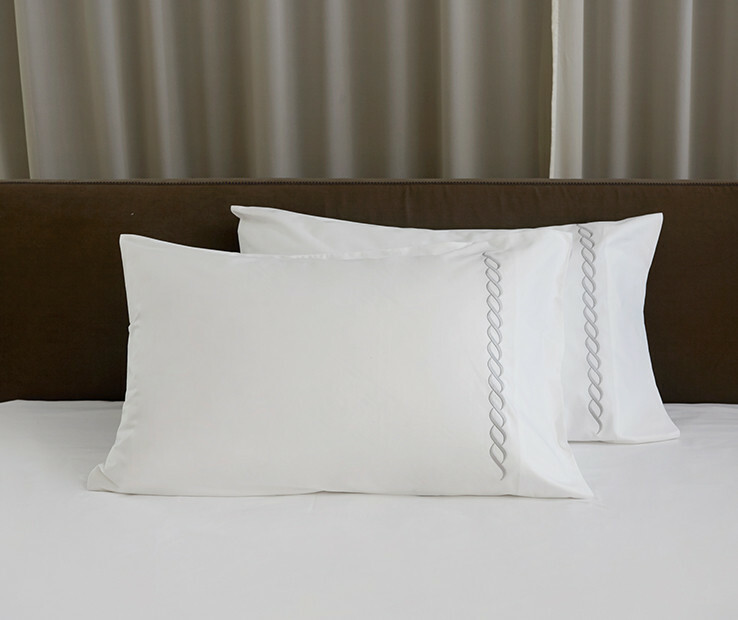 The Soffio pillowcases are the perfect combination of Italian craftsmanship skills and a wonderful fabric made with the best cotton yarns in the world. This design is unique for its lightness, style and simplicity. Like a breath of wind, this collection will give freshness and elegance to your home. Made of 100% Egyptian combed cotton Percale 600 t.c. 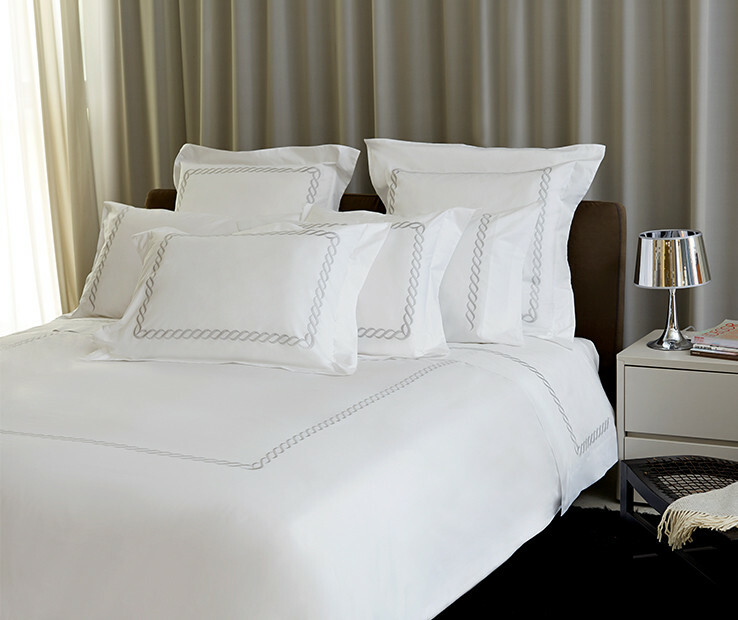 The Soffio embroidery is offered in many colors on white cotton percale. Available in Standard and King sizes. Made in Italy. The set includes two pillowcases. The Soffio duvet cover is the perfect combination of Italian craftsmanship skills and a wonderful fabric made with the best cotton yarns in the world. This design is unique for its lightness, style and simplicity. Like a breath of wind, this collection will give freshness and elegance to your home. Made of 100% Egyptian combed cotton Percale 600 t.c. The Soffio embroidery is offered in many colors on white cotton percale. Available in Twin, Queen and King sizes. Made in Italy. The Soffio sham is the perfect combination of Italian craftsmanship skills and a wonderful fabric made with the best cotton yarns in the world. This design is unique for its lightness, style and simplicity. Like a breath of wind, this collection will give freshness and elegance to your home. Made of 100% Egyptian combed cotton Percale 600 t.c. The Soffio embroidery is offered in many colors on white cotton percale. Available in Standard, Euro and King sizes. Made in Italy.